This is a rather widespread type of aid to render assistance to populations, most often in a collective manner by allocating it to towns in order to allow them to invest in new facilities, in particular benefitting people or sections of town that have been abandoned or in order to reduce the price of water. For a long time, this has been States, regions and towns, and they are often assisted by other better-equipped towns in the country or abroad or by international funding institutions in the event of major water access and sanitation programmes. Because it is often very difficult for collective units that have only a limited amount of income, as well as for the people that are in the same situation, to be able to invest, provide or have access to water at affordable rates without external assistance. Towns or families that have much too little income but who, thanks to this type of assistance, can improve their facilities or be able to access water in good conditions. This very common method of intervention is similar to social assistance (see the previous data sheet B9) when it is used individually for people with low income, but most often it is used on a collective basis, not individually. Payment to a person, family or collective unit of an amount intended either to be used for their needs in water or sanitation, or to decrease the price per m3 in particular for the underprivileged, or to invest in new equipment. - either linked to consumption (example : grants allocated to private individuals in order to allow them to pay a part of their bills such as in the case with social assistance). - or linked to an investment (examples : participation in individual hook-up charges to a network, covering the creation of public fountains or extending a network to poor sections of town). - direct subsidies, highly-targeted personal grants or paid to a collective unit, which is often intended, either for paying a bill, or to balance a budget in order to offset the reductions in rates granted by the collective unit to the poor. - indirect subsidies, often referred to as "cross-subsidies", either between categories of users (well-off people or those that consume a lot) who pay more for their water in order to decrease the price for single or underprivileged people (the case with progressive type pricing systems), or between inhabitants of towns or in the country in order to equip the latter or abandoned sections of town. - In some cases it can foster savings through the financing of better equipment. - It allows many collective units to balance their budget. - It can make it possible to offset a portion of certain pricing systems for the poorest. - It risks hiding the actual cost of water from the users. - Risk of taking it for granted. 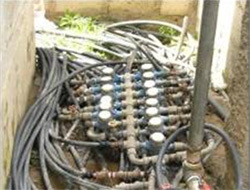 Among these, grants for subsidised connections at a reduced cost have the main advantage, in addition to the financial assistance nature, to allow low-income households, not only to have access to better quality water, but especially afterwards to pay much less for this water, as such generating substantial savings and to no longer need any assistance or much less. - It is necessary to properly identify the targets and to make sure that the methods of allocation do indeed make it possible to reach them. - Many indirect or collective grants allocated by States or municipalities are proportional to consumption. As it is usually well-off households, except for large families, who consume the most, grants that are too linked to consumption risk in reality favouring the most well-off people, to the detriment of the poor. - In order to prevent the families who are receiving assistance from no longer really knowing the actual price of the water and to prevent waste, it is recommended to continue printing this on the invoices. 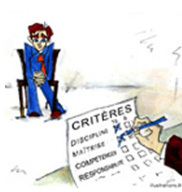 - Specify the temporary or exceptional nature of the grants in order to encourage recipients to look for sustainable solutions, in particular savings or other methods concerning behaviour, and not wait for the grants to be stopped before doing it. - either of a grant, which most often is partial, or a reduction on the price for connection. - payment facilities via spreading out the payments over several years (for example 5 years in Manila in the Philippines and 7 to 10 years in Morocco. - or a mix of the preceding methods. These indeed have a major advantage, not only because they allow for access in the home to quality water, but also to be able to provide it at a price that is much less (2 to 10 times less according to the town or shantytown) than that practiced by the small local resellers, which allows for substantial savings. This assistance is personalised, and most often is subject to income conditions (for example annual income less than $1900 in Manila) but are most often granted in the framework of a global project financed by a State, a municipality, a delegatee company, an NGO or an international funding institution such as the World Bank. The problem is that large families, although not very far at all from a network, do not have the financial means to connect to it, in particular in the underprivileged sections of town. In fact, according to the UNDP, the connection costs were for example in the last few years around €45 in South Asia, but a hundred or so euros in India or in Kenya, €140 in Benin and €180 in Uganda. And, often, in addition, there are substantial network subscription costs. So a connection in certain countries can cost several months of wages. How can this be surprising when we know that 1.5 billion people (more than 20% of the world population) has a daily income of less than 1 euro/day. Note that in order to reduce the cost of this, certain countries or communities, such as that in El Alto in Bolivia have suggested trying to reduce prices by having the earthworks carried out by the population or by the community, using less expensive technologies or by placing group orders. - that they have a title of ownership, which is far from being the case in informal settlements. - It is not enough to connect to the network; one must then be in a position to pay the bills on a regular basis, which is at the origin of a rather large number of subscription cancellations. So such programmes providing connection assistance can truly and sustainably succeed only if they are accompanied by other social assistance or pricing measures that are adapted to the poorest taken by the States or the municipalities. Within the framework of the NIHD (Human development initiatives) launched at the end of 2005 by the King of Morocco, subsidised connection programmes were created on the outskirts of Tangiers, Casablanca, Meknes and Marrakech as well as in a few rural communities thanks to a grant of $7 million from GPOBA (Global Partnership on Output Based Aid). GPOBA is a multi-donor fiduciary fund founded in 2003 by Great Britain and the World Bank, who administers it, and which allocates assistance only when the programmes have social objectives and achieve them, giving rise to the name "Output Based Aid". That for Tangiers, of which the total cost was evaluated at €93,000 (€217,000 in Casablanca) was financed for 6% by ONEP, 10% by Amendis, in charge of creating it, 54% by the delegating authority and the rest by a grant from the World Bank. The cost of a water and sanitation connection varies between €54 and €270 (€162 in Tangiers where the community has however covered a third of the cost) and depends on how far you are from the network, topography and access conditions to the premises. This will therefore not be possible for underprivileged families without assistance. This assistance for the beneficiaries has most often been in the form of a long-term interest free loan (about 7 years). In Tangiers, beneficiaries pay a monthly instalment de €11/month for a maximum period of 10 years. In Meknes, this monthly instalment is €5 for 7 years. In Casablanca, it is of the same magnitude (€5.50 also for 7 years. 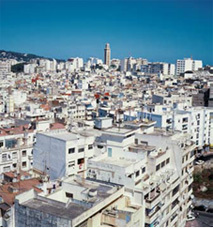 - the need to have a title of ownership (yet much of the land is often occupied without any right in the peripheral informal sections of town where the poor populations are congregated), a condition that Amendis had relaxed in Tangiers by transforming it into a ground occupancy title and by accepting simply a certificate of residency issued by the Caïd of the section of town when the urban community accepted it. - the commitment to pay one’s contribution each month, an understandable condition but which can scare honest people who do not have sufficiently stable income. - finally a connection authorisation from the municipality, which therefore depends on its policy and degree of voluntarism in the matter. - Coalition Eau : "12 proposals for elected officials". Brochure created by this Platform of 25 associations suggesting 12 very concrete paths for reflection and action to Mayors, in particular for the most underprivileged. - Amendis Morocco, subsidiary of Veolia. 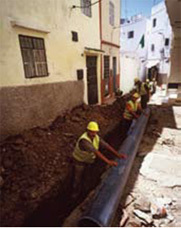 - "Programme for creating subsidised connections from 2006 to 2010 in Tétouan", which, in the framework of a global programme for carrying out 104,800 households for water and sanitation decided by the city, made it possible for an additional 5,400 underprivileged families to connect to the network, which is in addition to the 10,800 carried out over the 4 previous years. - "Evaluation of the results of the subsidised connection programme in Tétouan", an assessment carried out independently showing its very positive aspects on the time released for daily life, leisure activities and social life as well as on the general common situation and revealing the satisfaction of the interested parties of feeling that they have been taken out of exclusion as well as a 90% satisfaction rate despite a considerable increase in the price of water (the local public fountains were in fact free). - CAIRN. Interesting study (15 pages) on the place of subsidised connections : "Collective connections and social practices in Monte Cebu in the Philippines : water departments looking for legitimisation".